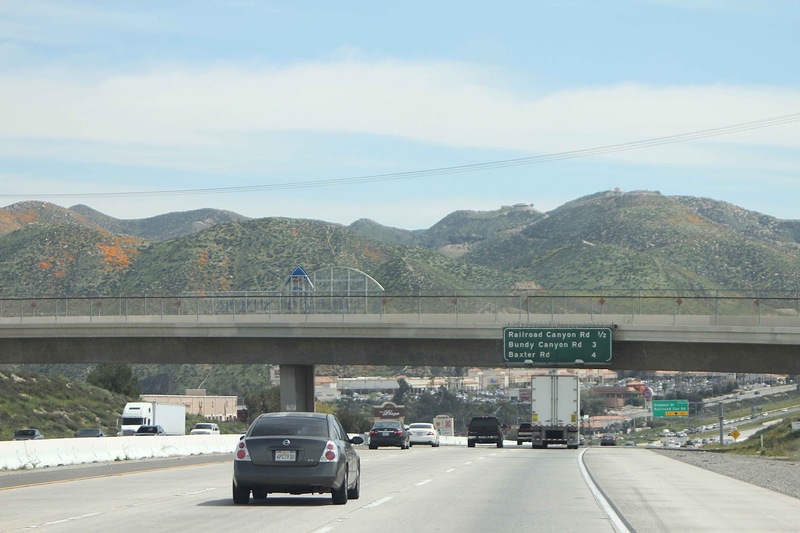 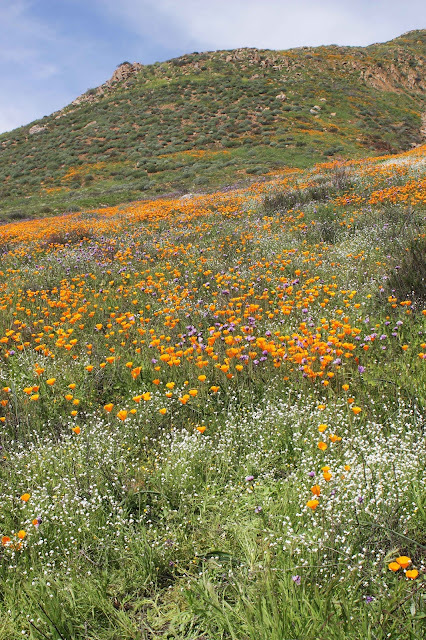 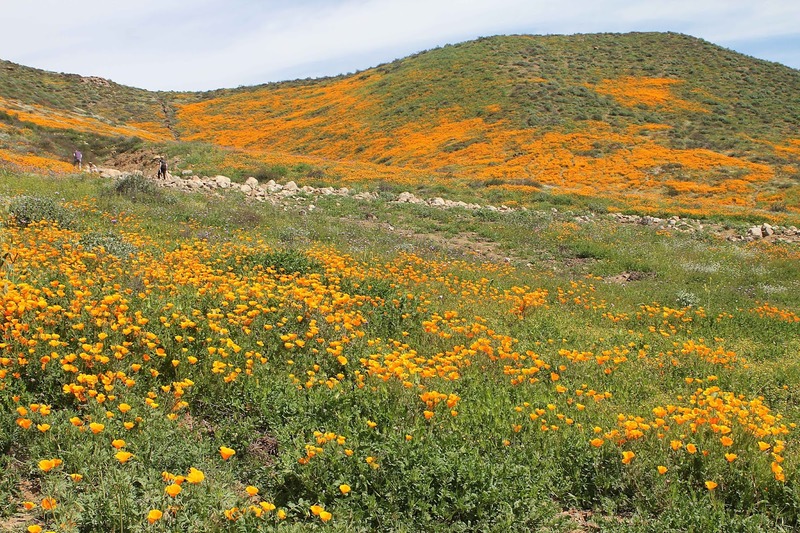 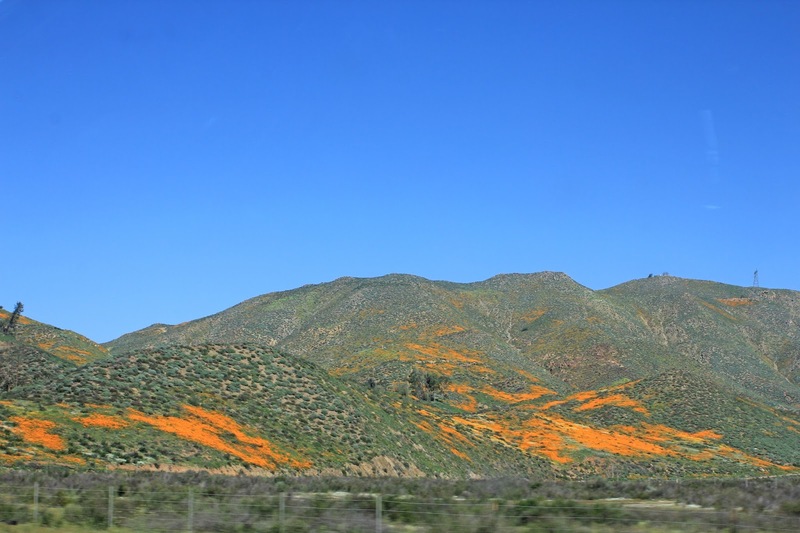 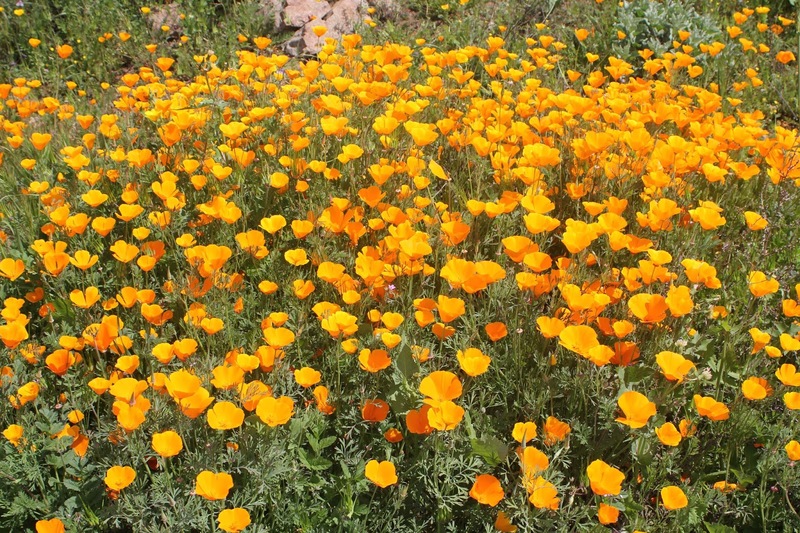 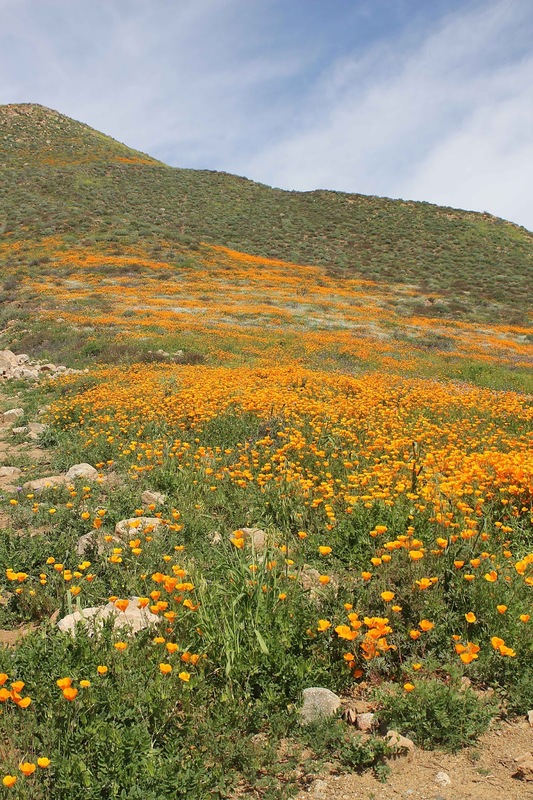 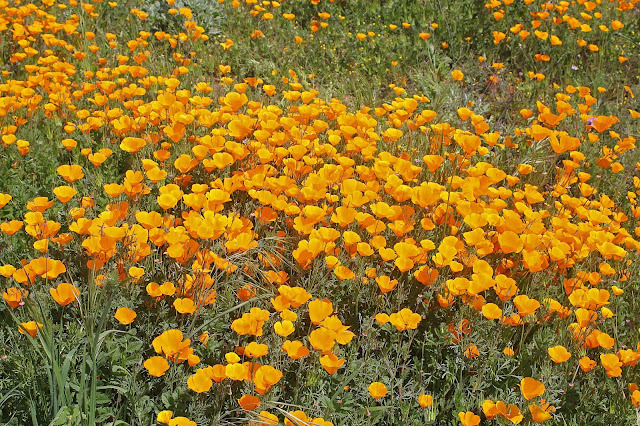 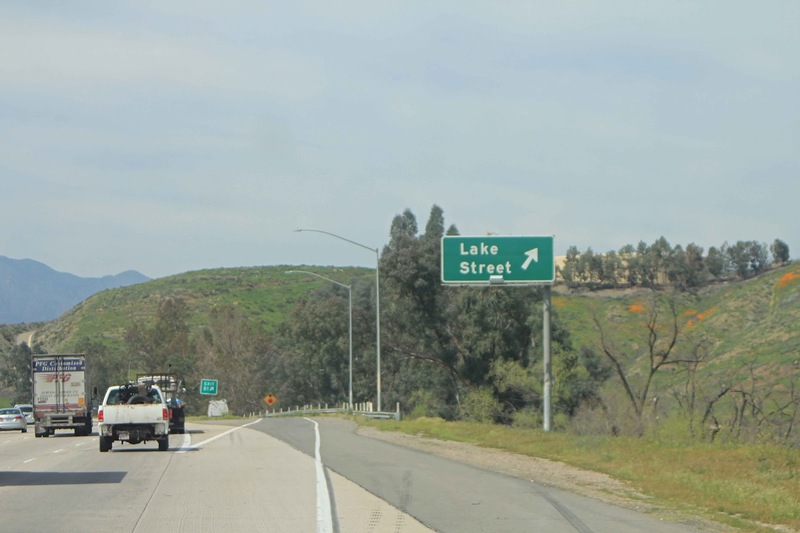 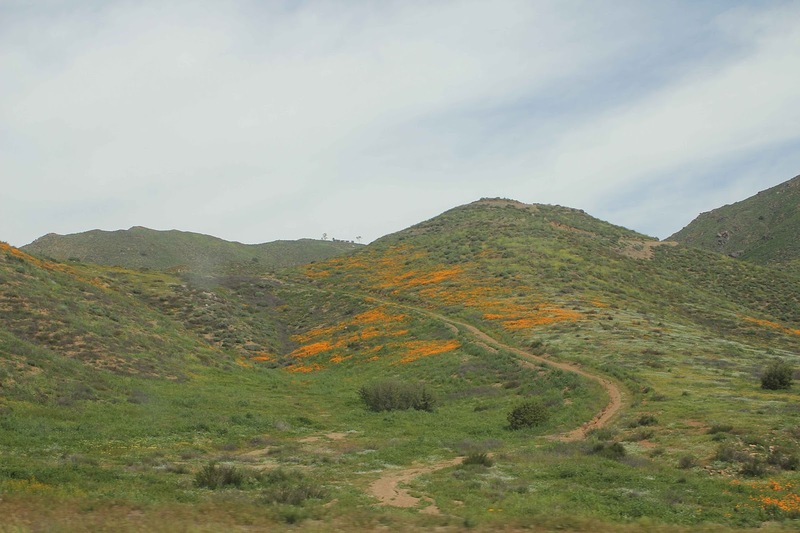 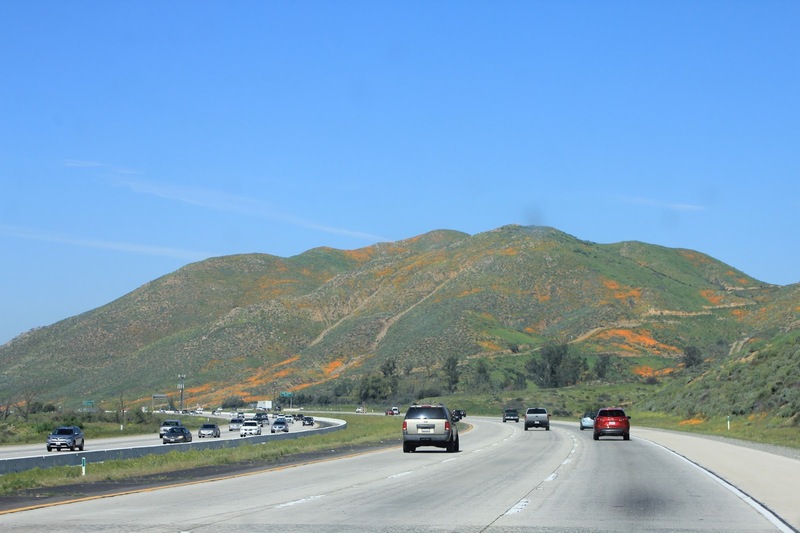 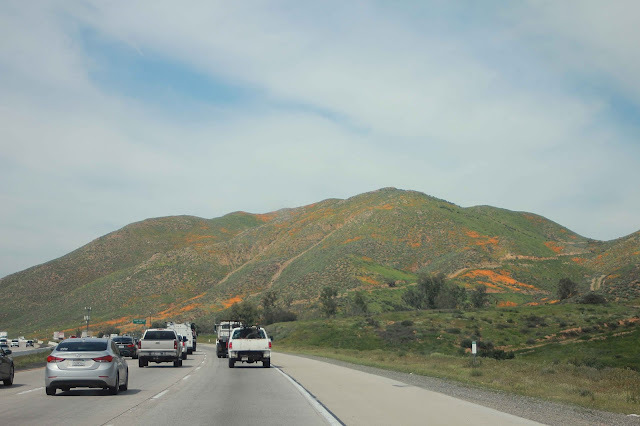 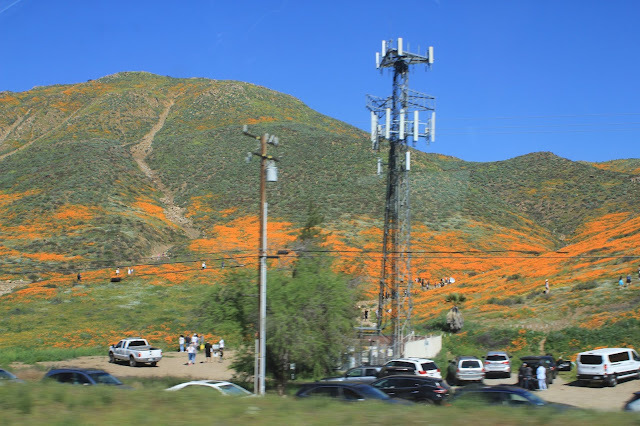 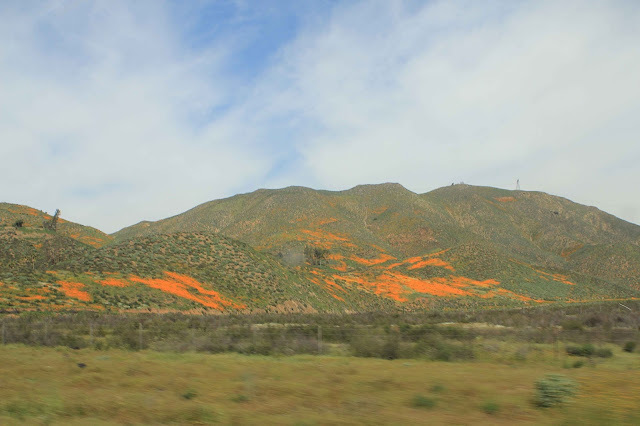 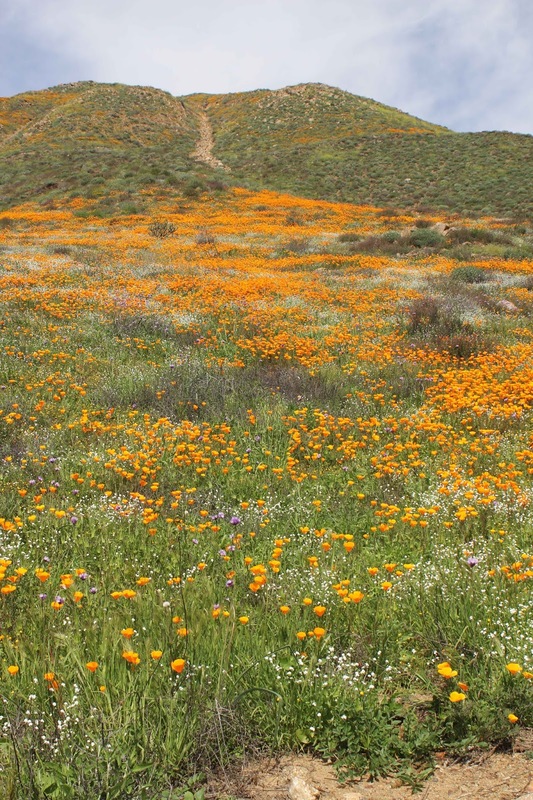 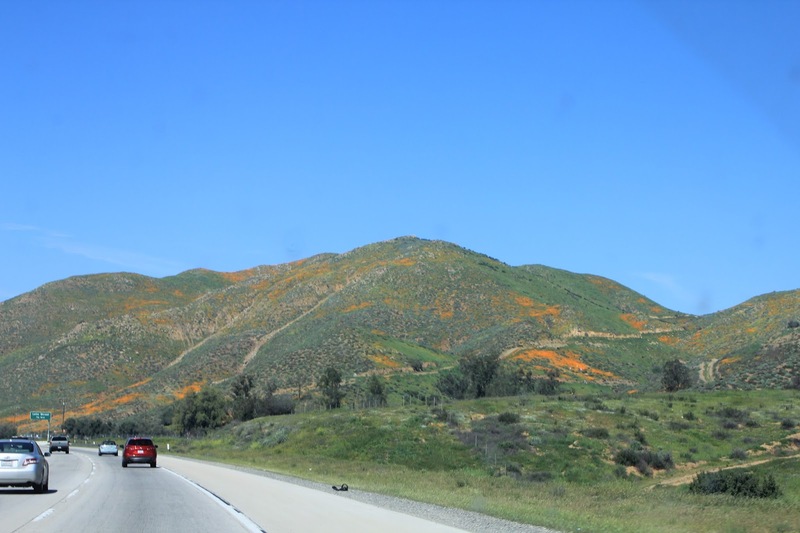 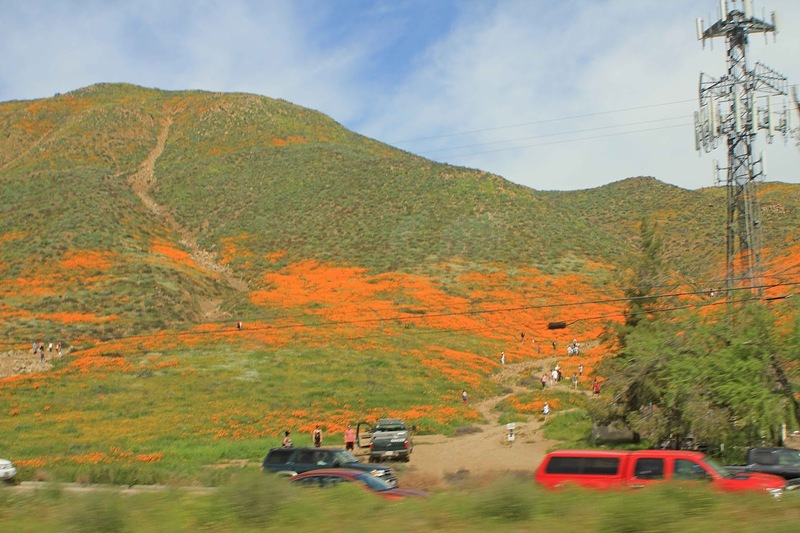 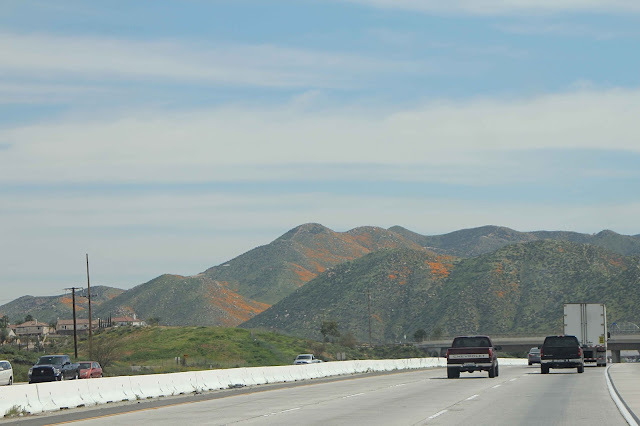 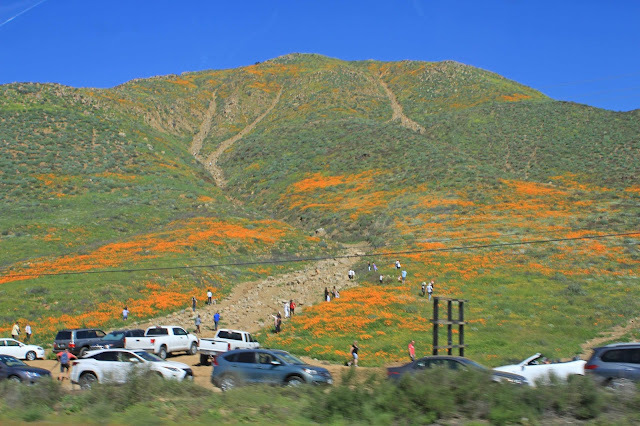 It's been years since we've seen California poppies and other wildflowers (but mainly poppies) carpeting the hills off I-15 in Lake Elsinore. 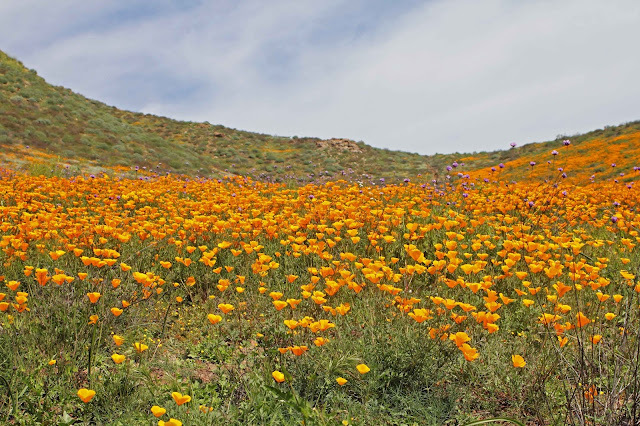 This has undoubtedly been a banner year due to the combination of lots of precipitation over the winter season followed by generally frost-free, sunny and warmish weather. 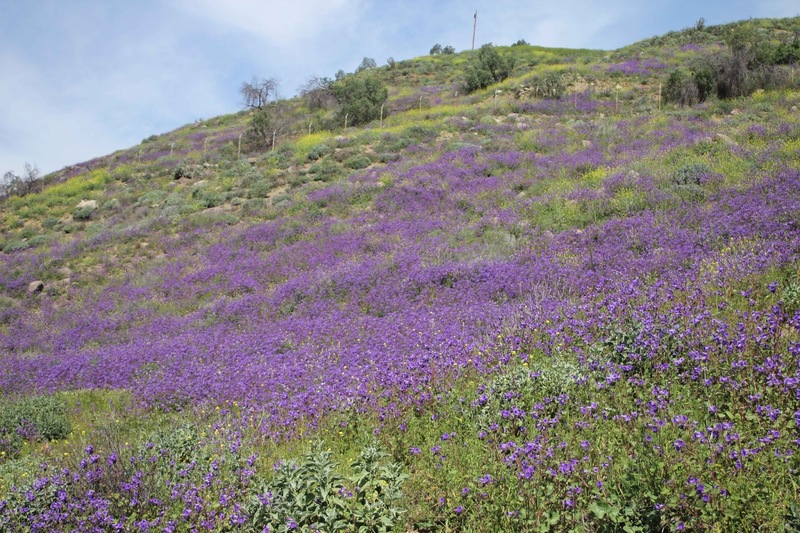 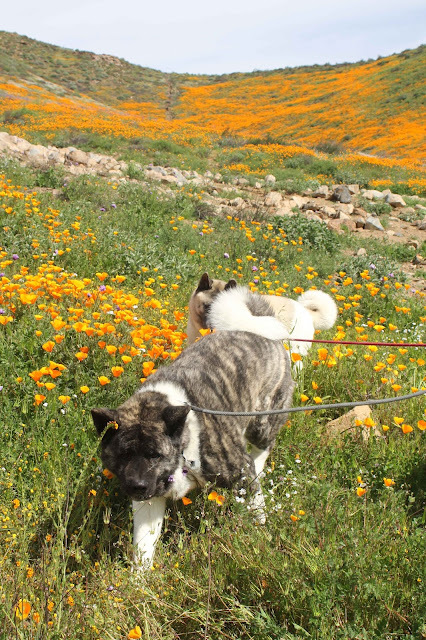 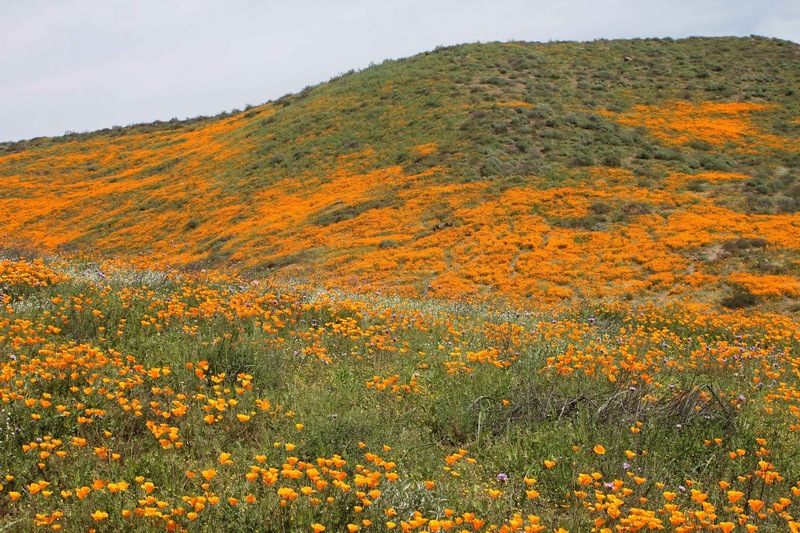 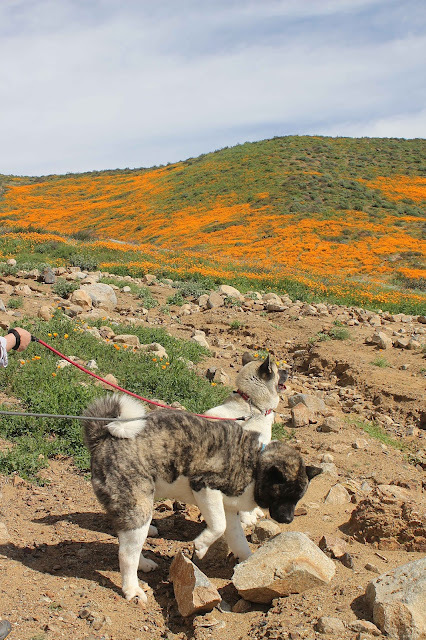 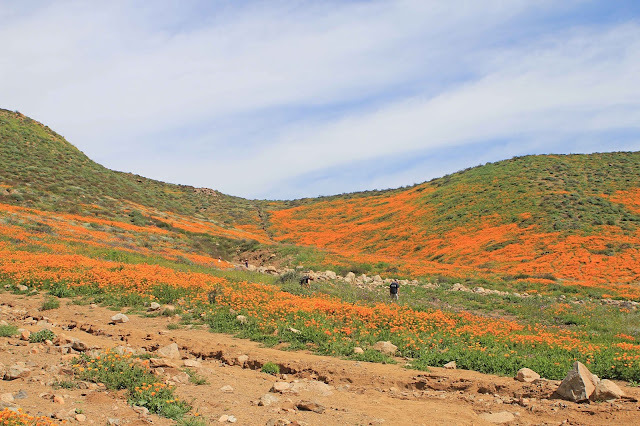 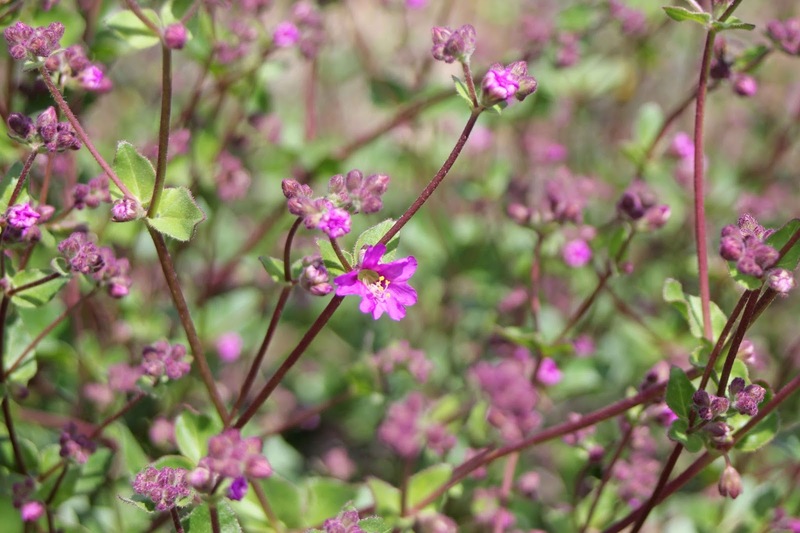 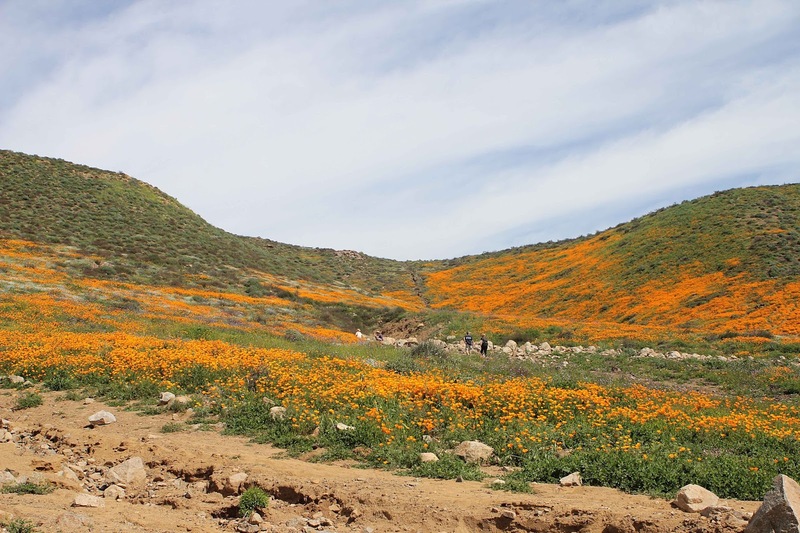 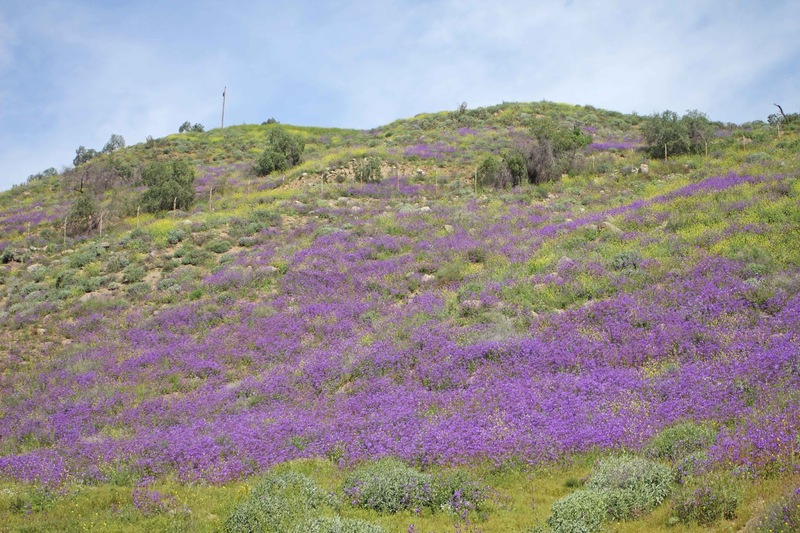 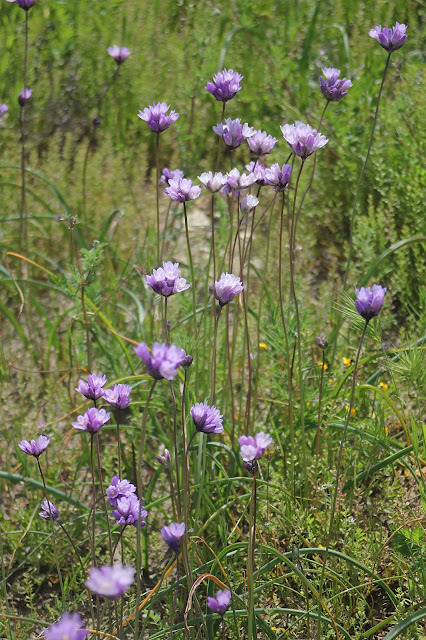 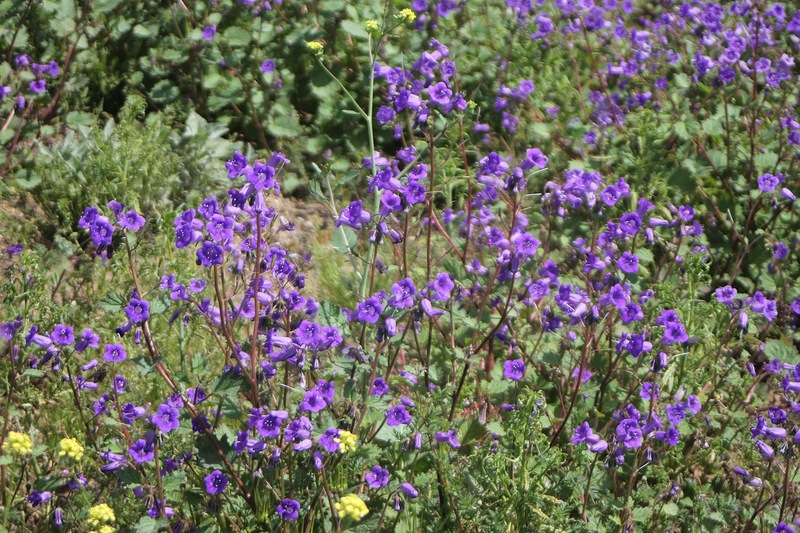 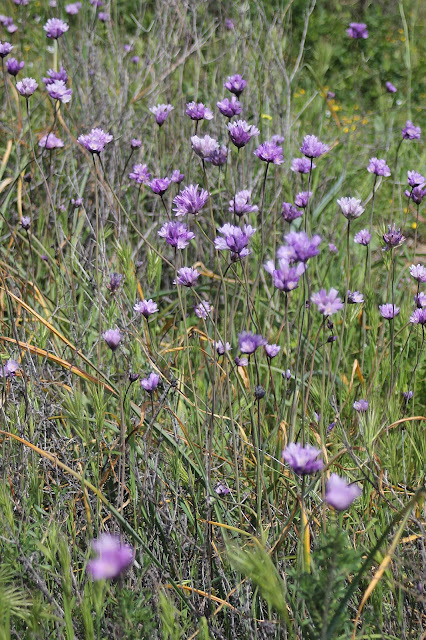 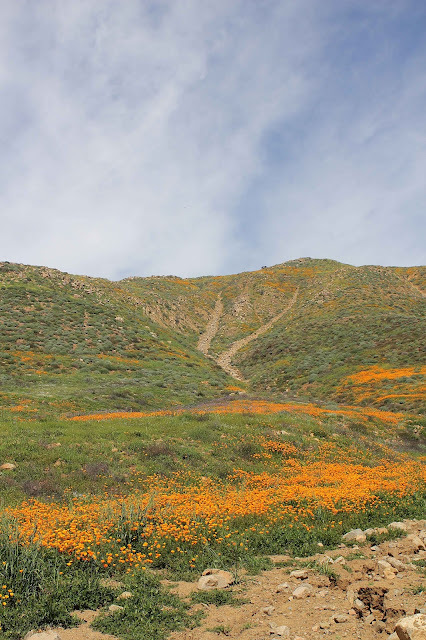 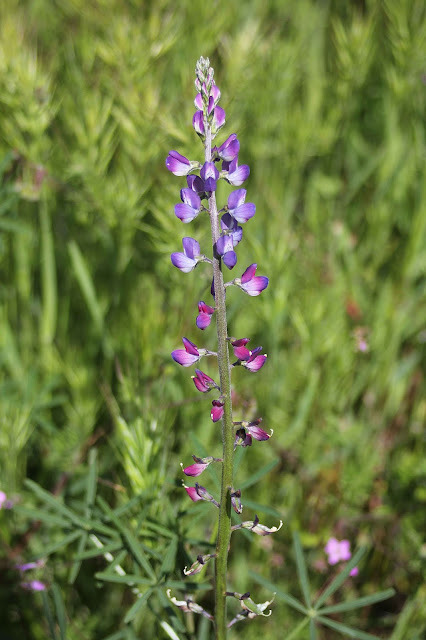 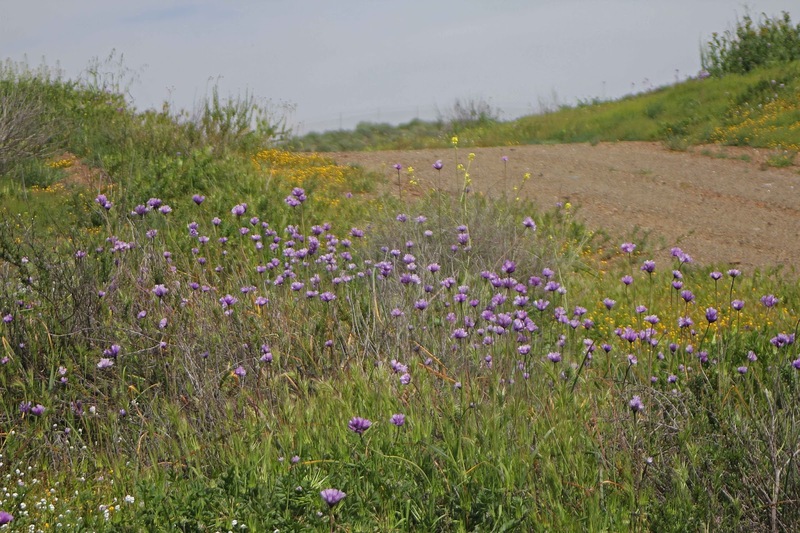 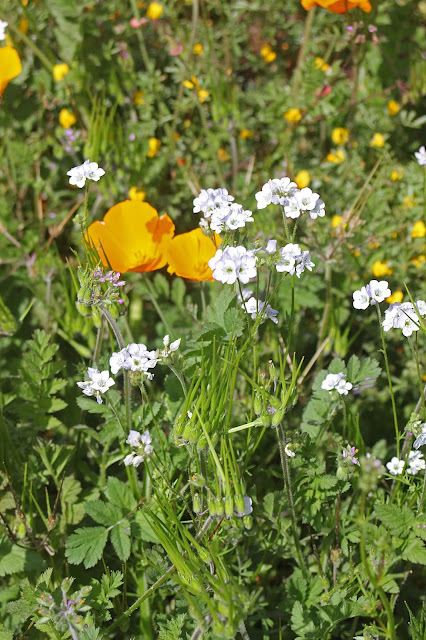 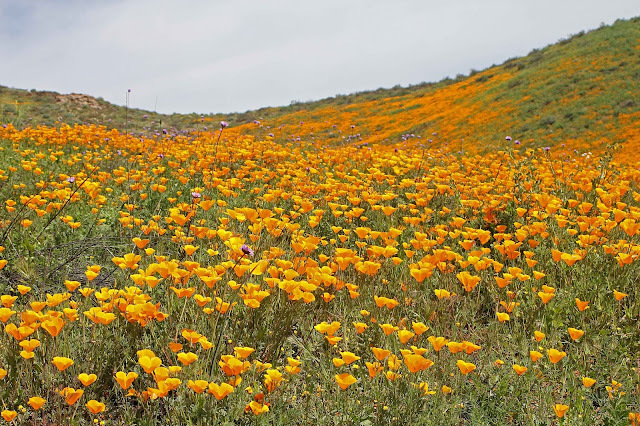 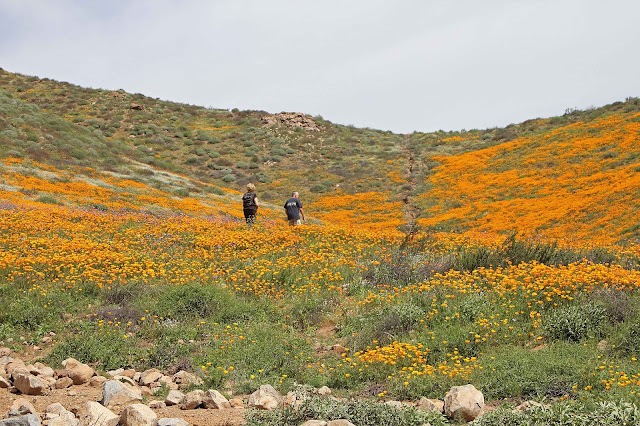 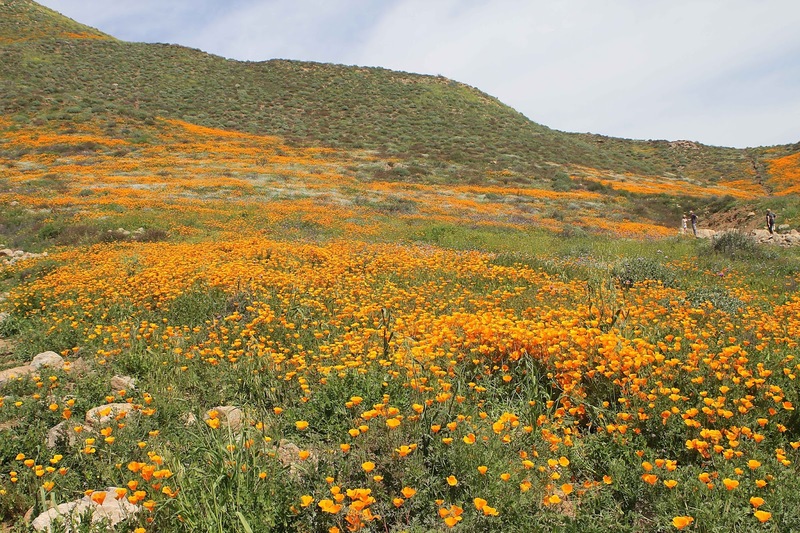 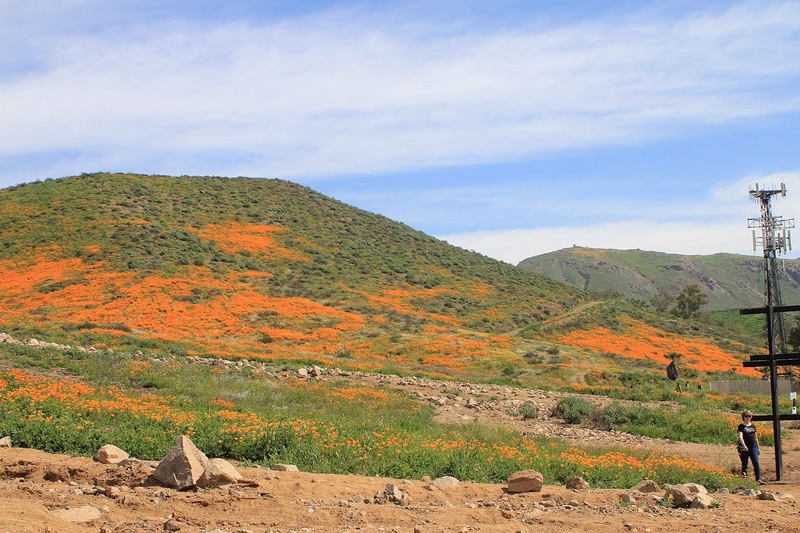 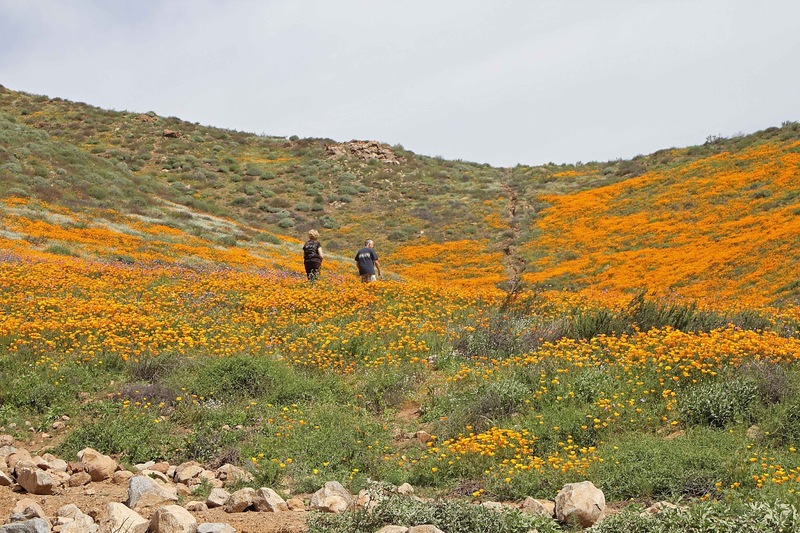 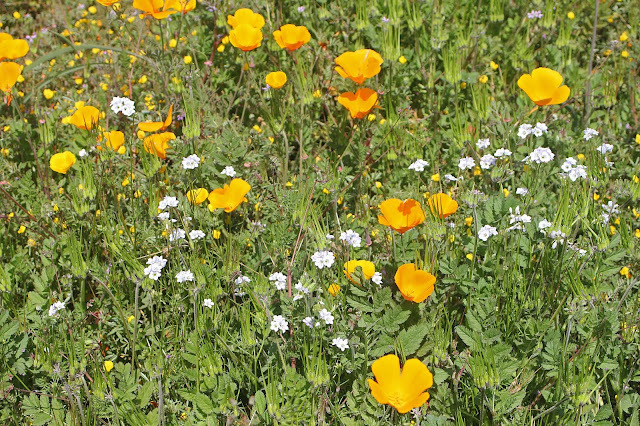 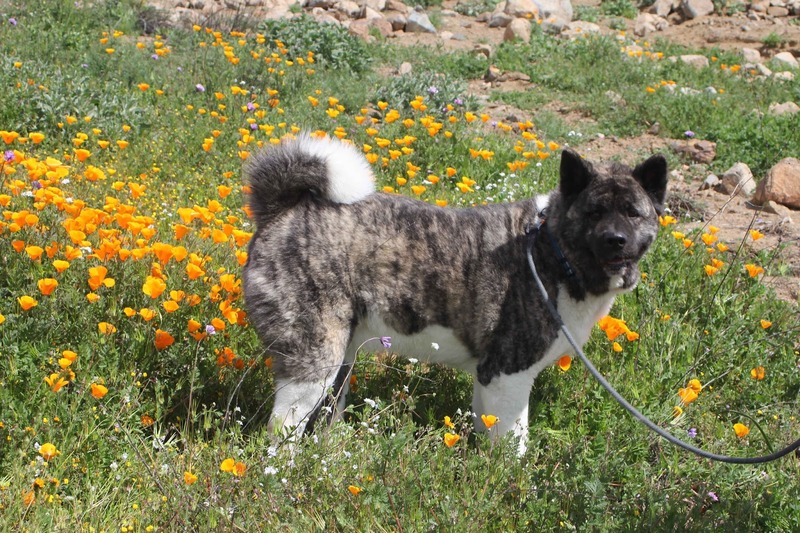 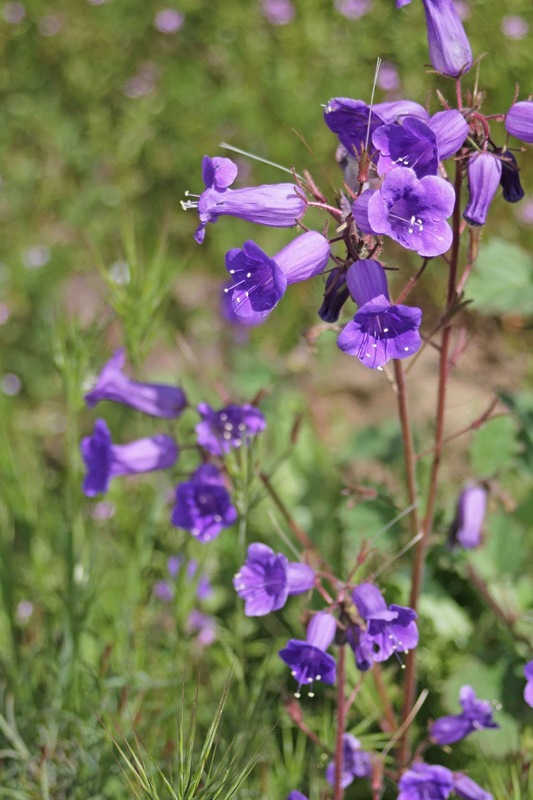 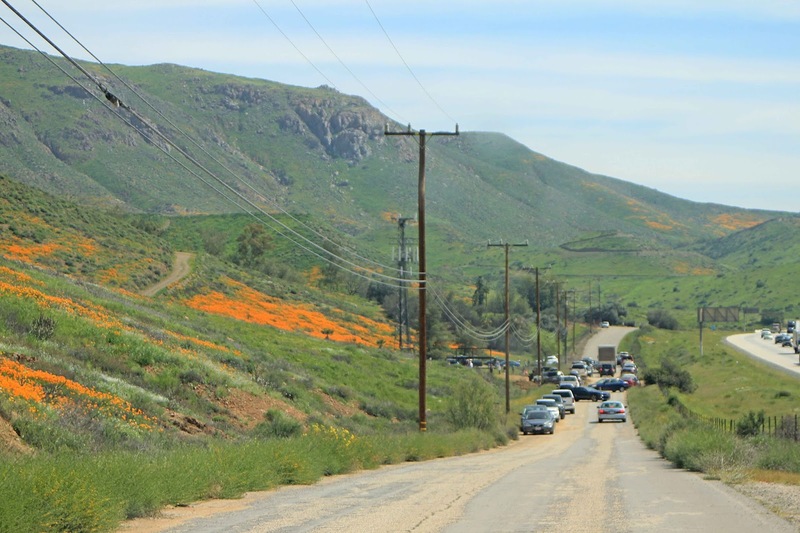 One of the best spots for poppy viewing is along Walker Canyon Road, and the hills above Minthorn Street (accessed from the Main Street exit off I-15) are carpeted with the purplelicious blooms of California Bluebells (Phacelia minor). 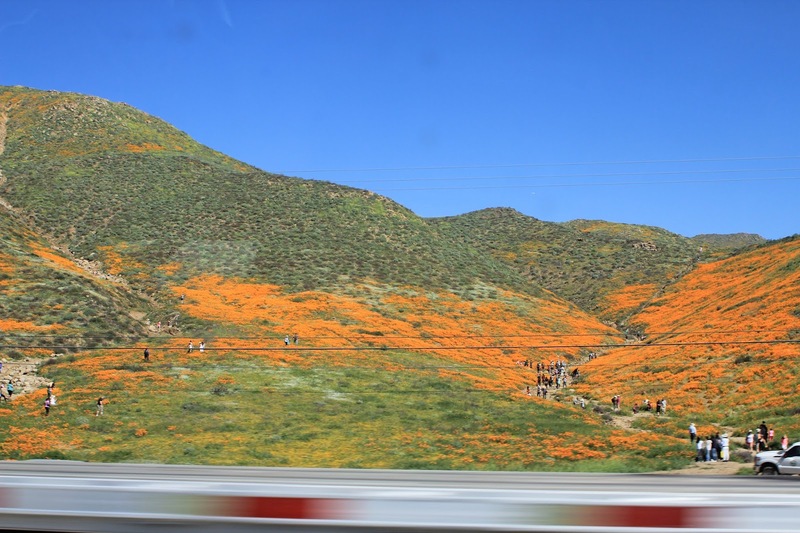 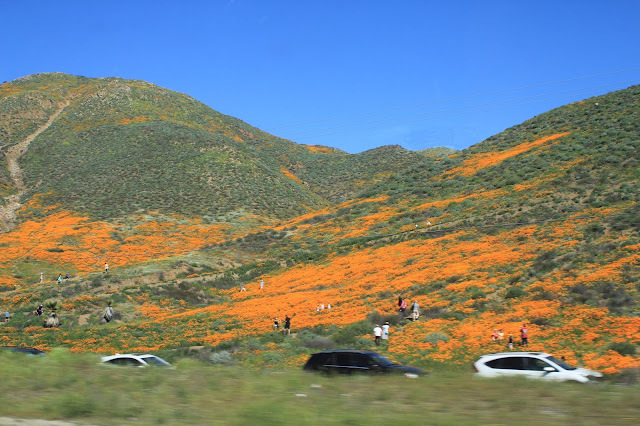 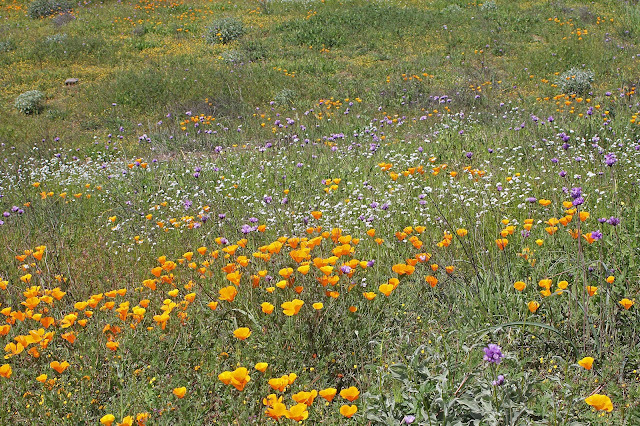 These amazing technicolor wildflower displays have even caused traffic jams on I-15 through the Lake Elsinore area! 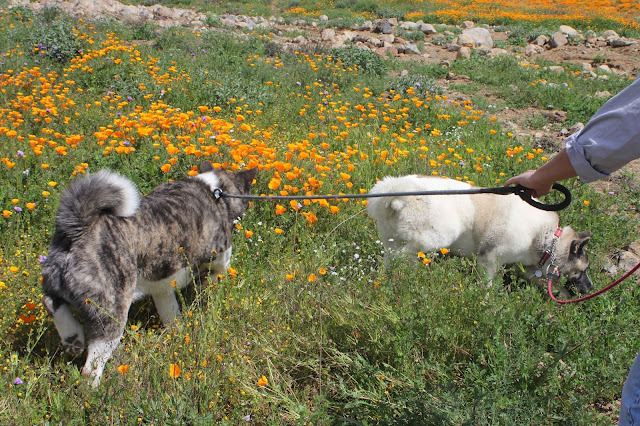 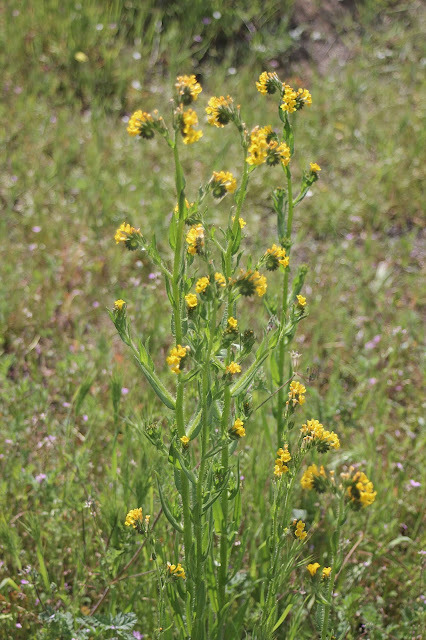 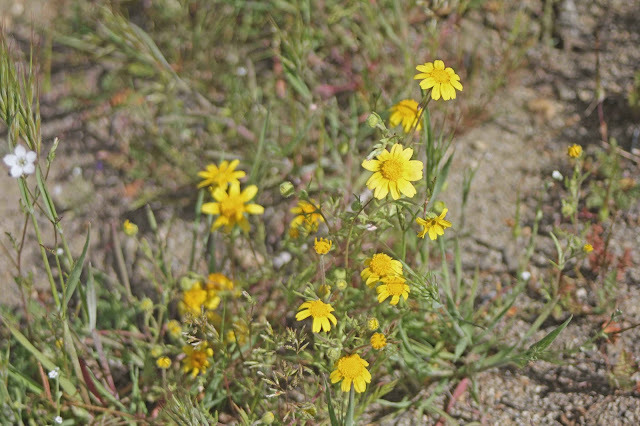 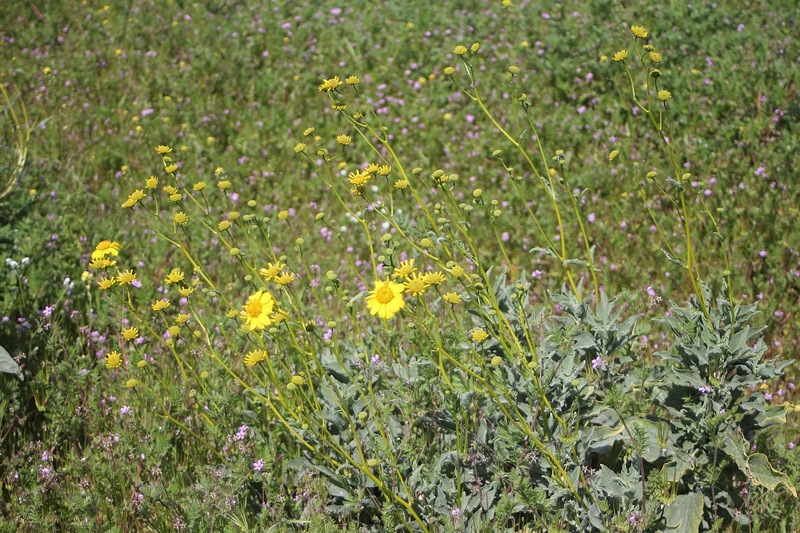 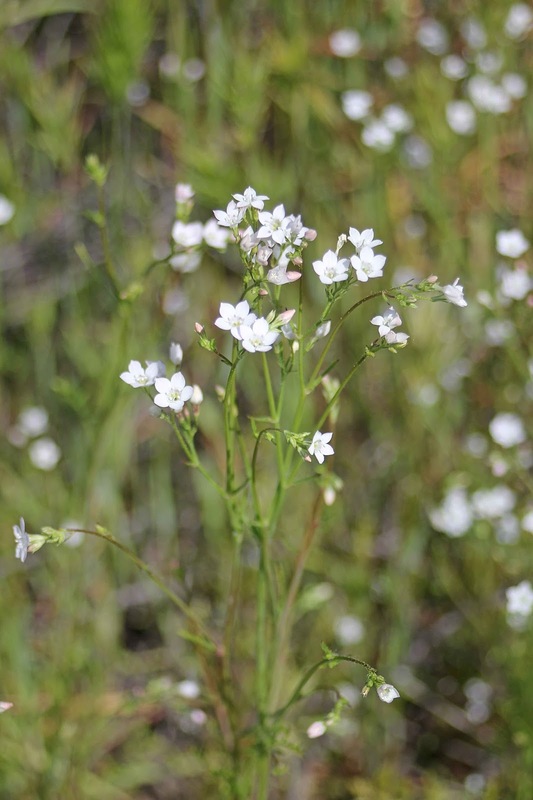 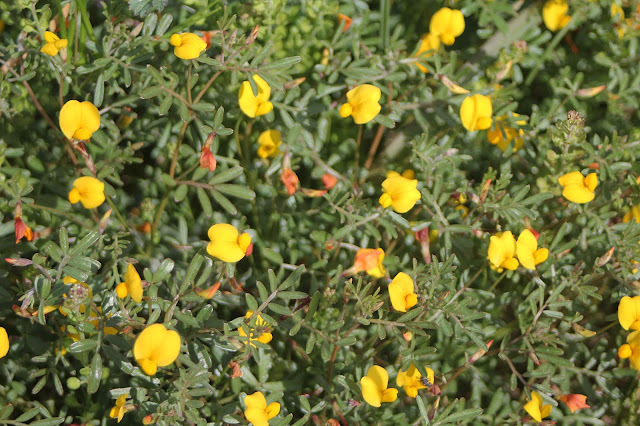 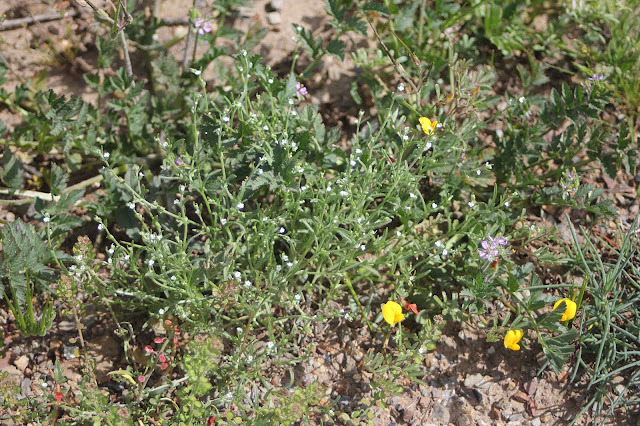 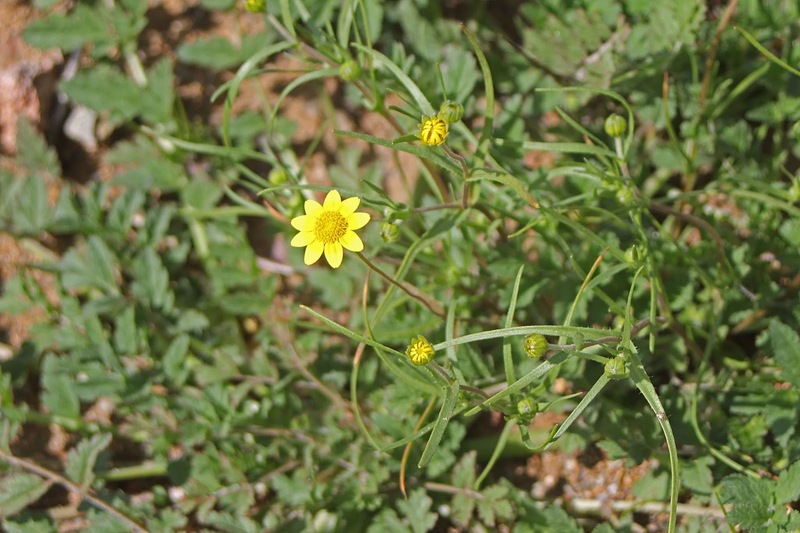 let them go so they wouldn't trample willy nilly over the wildflowers.